I’m always open to hearing from businesses and PRs looking for promotion and content for their brands, especially if there is an obvious fit with the subjects I cover. 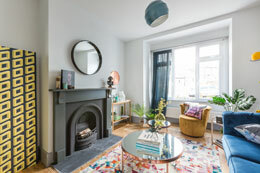 As well as interior decor, home renovation and arts stories, I’m also interested in anything relating to family life, places to go and things to do in Brighton and London. I’m best contacted by email jasmin (at) thisispublicity.com or a direct message on Instagram.